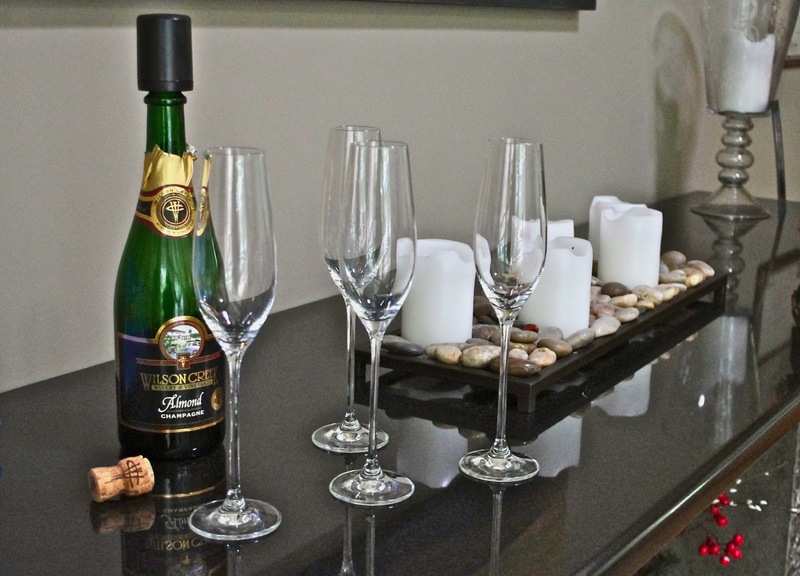 Champagne Wishes and RV Dreams: Hello 2013! Starting the new year off with long time friends, is the best way! 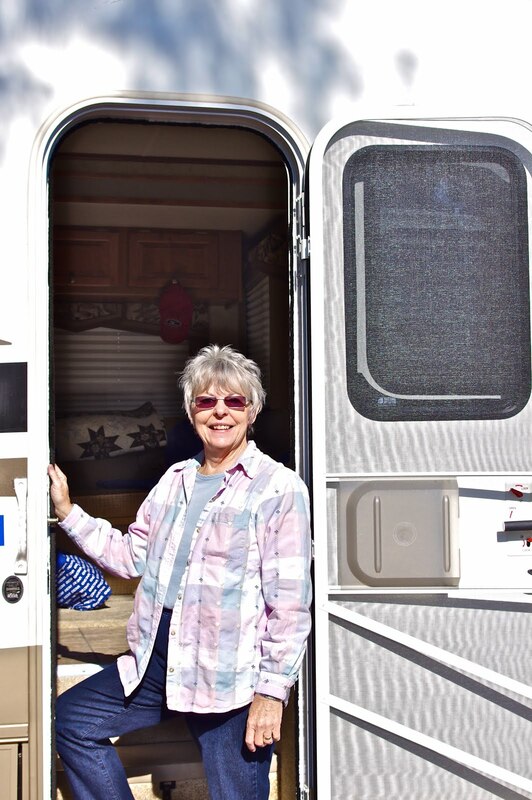 We left Northern California filled with family love that we hope will keep us warm throughout the next few months and traveled south to Los Angeles where we met up with our long time friends who now live in Beverly Hills. What a sight we must have been...driving this 35' motorhome with our little Toyota truck toad through the posh streets of Beverly Hills! 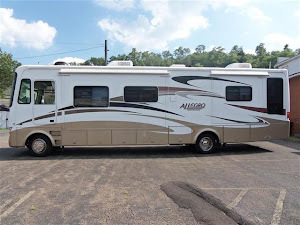 We passed Mercedes, Jaguars, Bentley's, et al as we traversed the streets getting to the spot where we were going to be parking our rig while we stayed at what we lovingly call the "Venet Inn". 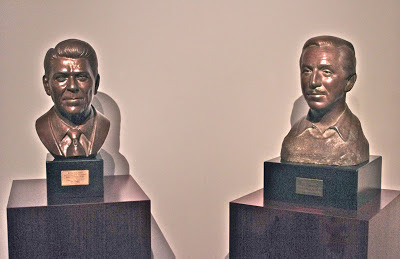 We love it there, as with all of our friends, it's like coming home again. We don't do much of anything, and that's just the way we like it. Soaking in the So Cal sun, relaxing, laughing and sharing stories. 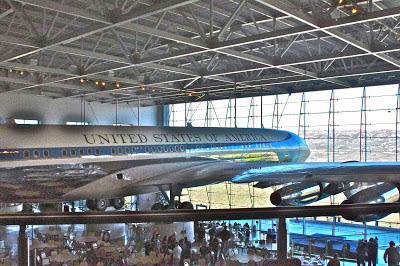 We did take a couple of side trips, one to the Ronald Reagan Library. Very nicely done. Lots to see with stories to read and hear. 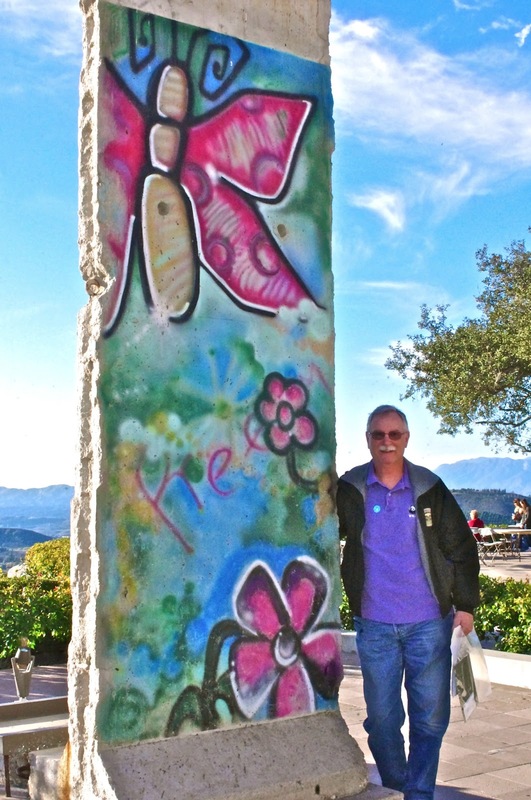 They even had a nice peace of the Berlin wall. 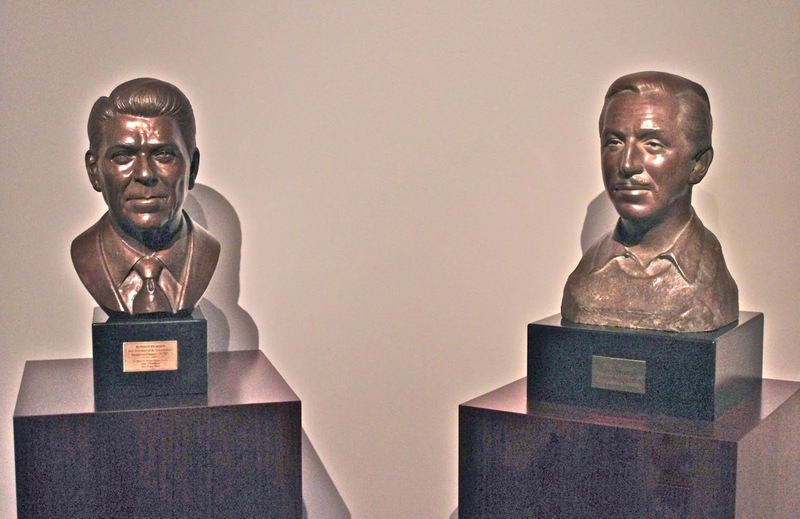 Ronald Reagan was good friends with Walt Disney, so they had a special exhibit that covered Disney's life as well. 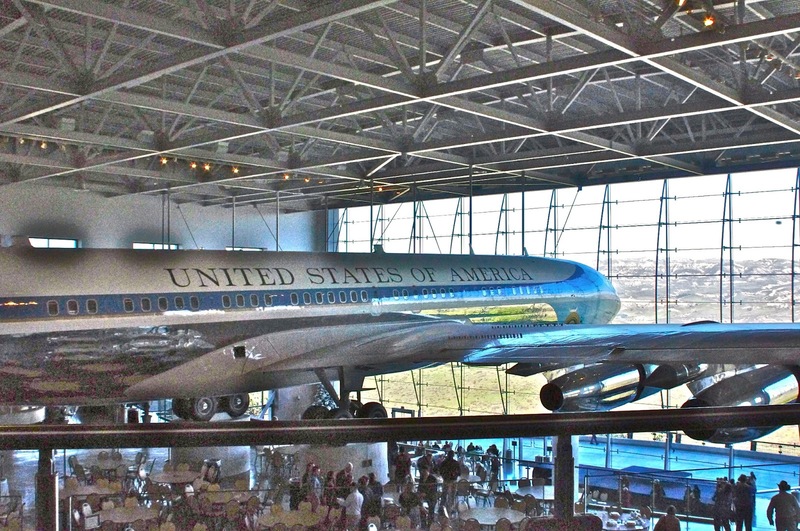 They had the Presidential plane that we got to board as well, that was kind of fun, probably the only time we will ever be aboard one, so had our picture taken! I always love to go shopping with Sheila when I'm there because she takes me to some fun, "Beverly Hills" stores that I can ooh and aah over. Jack loves it, because he knows it's stuff I'll never buy, but get such a kick out of just looking! We went to the Westwood Village Memorial Park Cemetery to see where some of the famous stars are buried. 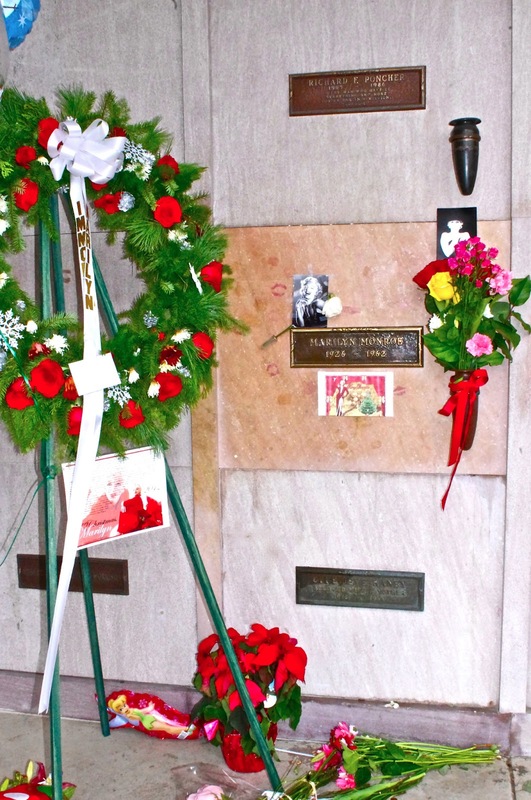 Marilyn Monroe had lots of flowers and kisses at her site, as did many others. 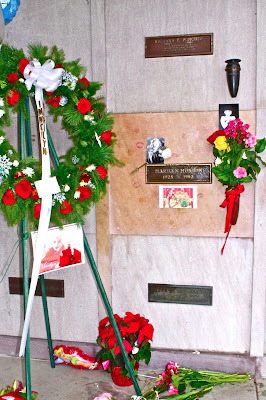 I'd been before, but it was new to Jack, so he had fun discovering some of his favorites like Natalie Woods & Bob Crane. 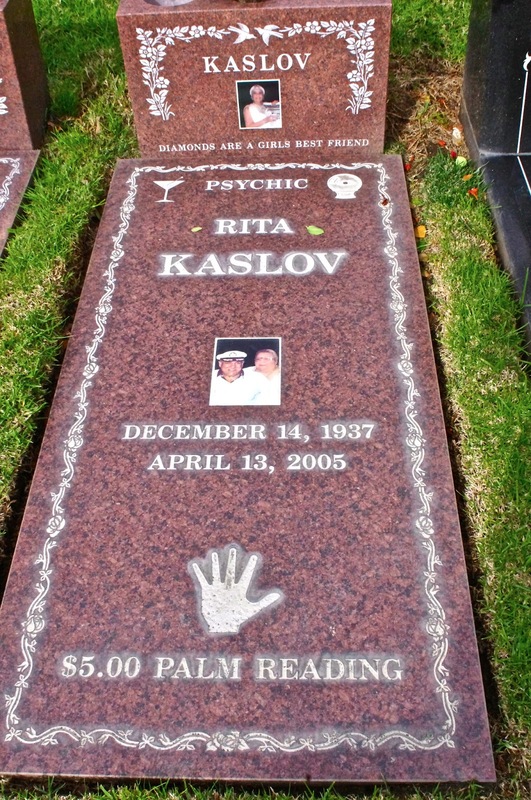 I personally loved one that wasn't famous, but had a great sense of humor of a psychic that did readings for $5! Not to over-stay our welcome, we headed on down to San Diego. 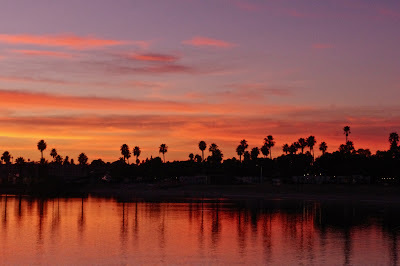 I've always thought it would be so cool to stay at one of the campgrounds on Mission Bay, so we booked ourselves in for the week. It was "cool" in more ways than one, but it was a great location for us to get to various Dr & Dentist apts. and see our SD friends. No matter that you are on "an adventure" you still have to have the basic "stuff" attended to. Oh well, it was all good, so that's now done for awhile at least! After a week in Mission Bay, we moved north to Escondido to catch up with all our friends at that end. One of our dear friends opened up their guest house for us while we stayed here...so beautiful, I'm not sure I want to leave again! Such generosity while our rv & truck get their tune ups! I've felt like a broken record as I've answered the same questions over and over again as we have had the joy of visiting our various friends and relatives. I'm also going to have to go on a strong diet when we leave because of all the lunches, dinners and glasses of wine I've engaged in! It's been a friend frenzy, but so great to see so many of our friends and family, to catch up, get hugs and carry the love of their friendship with us as we travel on. There's just nothing like it and we are blessed to have it.